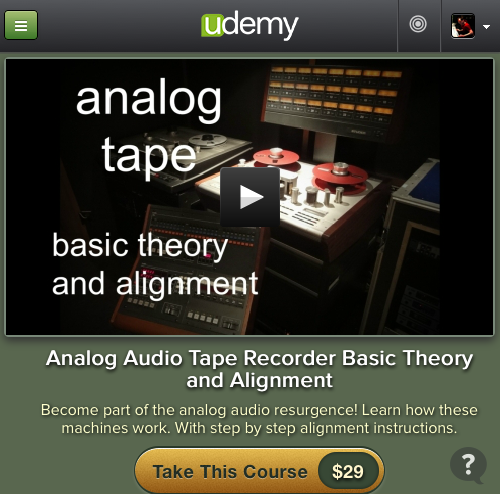 Analog Tape Alignment and Theory Online Course. Posted in: Uncategorized. Tagged: analog tape, analog tape alignment, Head Azimuth, Tape Bias, Tape machine alignment.